In honor of the Thanksgiving holiday, St. John’s Hartsburg will host its annual “Praise and Pie” service on Wednesday, November 26 at 7:00pm. The service, led by several ladies in the congregation, will feature scripture readings and songs relating to Thanksgiving. 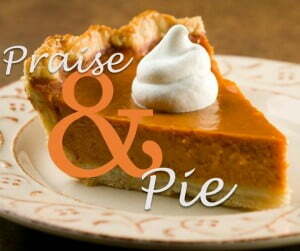 Refreshments including pie and coffee will be served after the service. Praise and Pie is a tradition started several years ago at St. John’s to give our congregation time to share the blessings that have been bestowed on our community. A time to come together as a church family and reflect on what makes us truly thankful. What better way to praise the Lord and enjoy holiday fellowship? Out of town family and friends are more than welcome to attend!